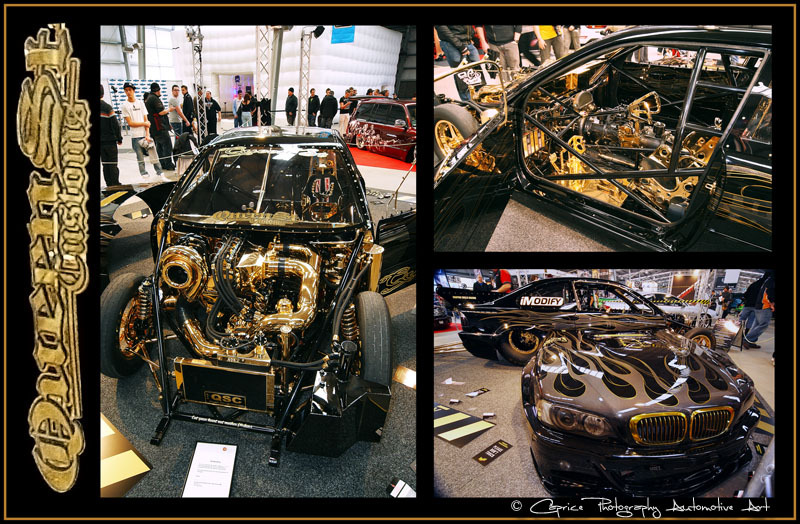 This BMW M3 is the creation of Queen St Customs inAdelaide,Australia. The power plant of this beast is a Mazda four rotary engine. As you can see, this is no stock rotary and it has an impressive aria of internal and external hardware built into it, which consists of a custombridgeportusing a billet eccentric shaft and lightened Series IV rotors. There are twenty 1600cc injectors to work with the giant GT 60 turbo, giving this show/drag car a tire smoking 1600HP at the rear wheels. The spent gases exit via a 75mm wastegate and 5 inch dump pipe. To give this donk some bling, nickel plating and 23 carrat gold plating has been used extensively on the motor and through-out the car. The whole lot sits atop a chomoly full tube chassis, while a large percentage of the interior is taken up by two carbon rear tubs and a five speed Lenco transmission. To give the Beamer its finishing touch, lashings of House Of Kolor black with gold pearl has been layed over the body. While the car is currently been shown at the moment, we have been informed that it will see track time later on and that will be a sight to see! Trilogy is a 1959 FC Holden sedan that is on its third rebuild, hence the name. This build took three and a half years to complete, bringing up the time of ownership to 36 years. 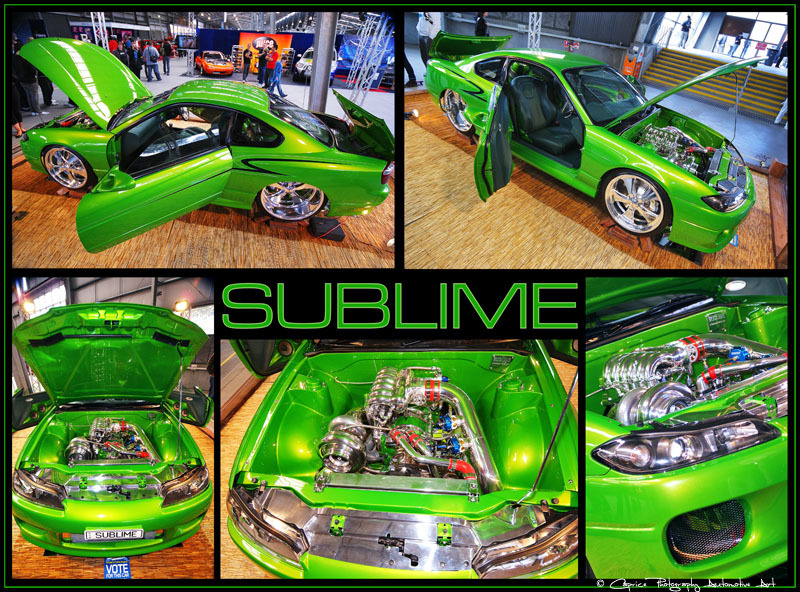 This beautifully modified machine is powered by a twin turbo charged 440c.i. small block Chev pushing out a tire frying 1000HP! All this power is fed through a bullet proofed Powerglide and down to the immaculately presented nine inch diff. Suspension is courtesy of coil over shockers all round with Alcon brakes getting the nod for stopping power. Twin three inch handmade exhausts get rid of the unspent gasses. The wheels that set this elite showcar apart from the rest are the 18X7 and 20X12 Showwheels shod in low profile tires. 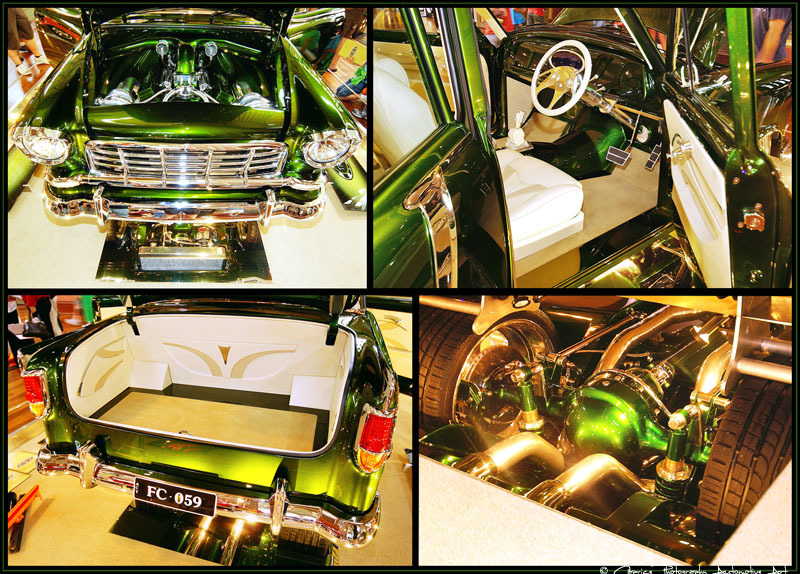 To compliment the array of body mods covered in HOK Kandy custom mix paint is the interior. The hand made seats are covered in beautiful leather and German carpet complimented by a smattering of billet items and Dakota digital gauge pod which has been cleverly mounted in the center of the custom built dash. Plans for this immaculate machine is to show it for a while before putting it use on the street for cuisin’ duties. Who could wait that long, not me!